Try something a bit different this Easter with Karen’s delicious Pashka recipe. A traditional Russian Easter dessert made from curd cheese, honey, dried fruit and almonds, Pashka has a texture similar to a custardy cheesecake and is traditionally served with slices of kulich (Russian Easter bread). Pashka, also known as Pascha, Pasha or Paskha is a type of cream cheese and fruit egg custard popular in Eastern Orthodox countries. Similar in texture and appearance to a blancmange, it's traditionally made to celebrate the end of Lent and the beginning of Easter. It’s a beautiful dessert, made with curd cheese (or cream cheese), dried fruit and nuts as well as a slug of booze. A Pashka is traditionally made in a mould in the shape of a truncated pyramid, which is said to represent the tomb of Christ. 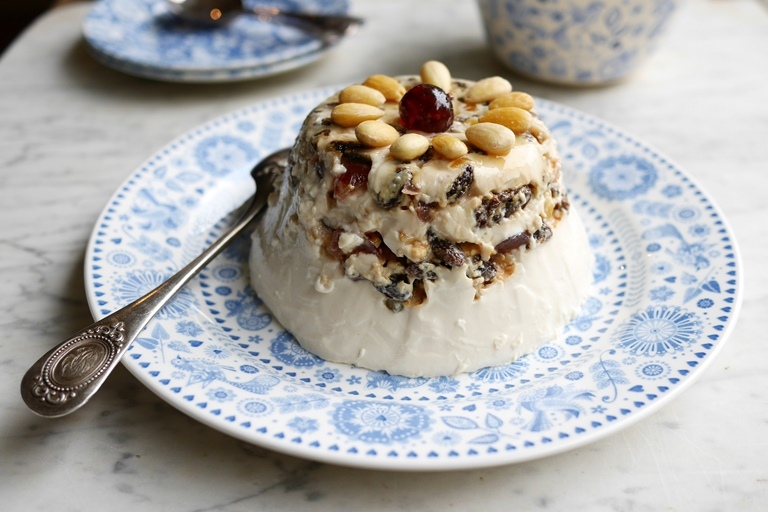 In the absence of a special wooden mould you can still make this traditional Russian and Greek Easter dessert at home in a good old-fashioned Christmas pudding bowl. 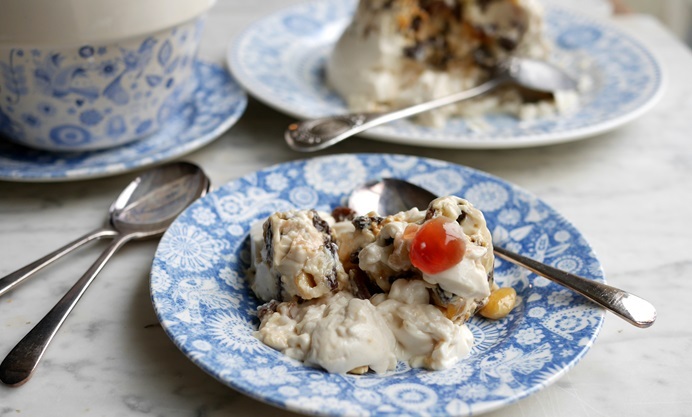 My recipe for Easter Pashka is made with curd cheese, dried fruit, almonds, honey and brandy, taking all the traditional elements for this dessert which makes it so special. It’s an indulgent and rich pudding that can be made the day before you plan to serve it, making it a stress and hassle free recipe.